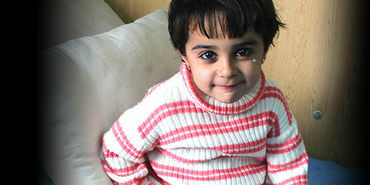 Meet Malak, a 5-year-old girl from Syria. In December 2015 as little Malak was at home, playing with her brother and sisters, her house was bombed in an air strike.The building shook with a frightening boom as shards of metal shot through the air. TY dear Anna and Ted. Noted and signed. Thank you Anna , and thanks for the forward Ted ! Signed & noted. Thanks, Anna. Signed, but I don't hold out much hope for a positive response. Noted and signed. Thanks, Anna. Signed and noted. Thanks Anna!